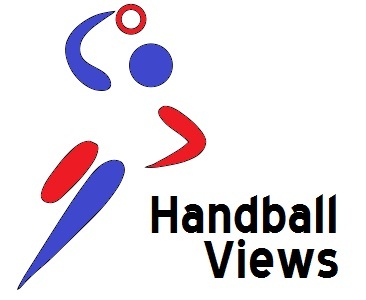 For the British handball fan with access to the internet, balance on your debit card and time to plan a city break a couple of major events have announced the opening of ticket sales. First up is the Men’s World Championship which is taking place in Spain in January 2013. Preliminary group day tickets are now available with prices ranging from €10 to €35. So for roughly the price of a League 2 football match you could be sitting in a premium seat watching top level international handball. The plane to Madrid from London is probably cheaper than a train around England as well. Details here. Then there is the Velux Final 4 which is the culmination of the EHF Champions League in June 2013 and held in Cologne. During the initial sales window 10,000 of the available 19,000 tickets were sold. There are now more available. Last year Final Countdown ‘rockers’ Europe provided the headline for the accompanying entertainment, no word yet on whether The Scorpions will provide the 2013 crowd pleasers. Prices range from €60 to €240 and there are details here. Before both those tournaments there is the Women’s Euro 2012 taking place in Serbia. Watching 15 top nations battle it out for the right to finish second to Norway should make for pretty decent pre-Christmas entertainment and the men’s edition held earlier this year also in Serbia (the Netherlands withdrew from hosting the women’s event in mid 2012) was notable for the ferocity of the local support and general passion of the crowds. In a mostly good way. Tickets will be available from Monday 17 September with day tickets for the preliminary round starting at €6 which is the price of an average cup of coffee in London. Details here. The preliminary round of the mens world championship is being played in four easily accesible Spanish cities- Madrid, Seville, Zaragoza, and Granollers which is a commuter town just outside Barcelona. The price of the tickets is great value as it will entitle you to see three games a day. I went to the last championship in Sweden and thoroughly enjoyed it. So go ahead and get some tickets and enjoy the atmosphere of a top class sporting event and hopefully some winter sun as well. Serbia will be much colder but also provide a memorable competition. The Final Four is definitely a must-see event for any handball fan. Four action packed matches in front of 20,000 noisy fans in one of Europe’s top arenas to determine the best club team. Not only that but you get to experience a superb city break destination in Cologne; you can cruise down the Rhine, visit the chocolate, perfume, Roman, and Olympics museums, climb to the top of one of the two spires of Cologne’s famous Cathedral. sample the local beer and wine in the Old Town bars facing the river. The list is almost endless, just make sure that you are there to experience it all.